Dr. Deb Finn’s research is on a timer. Climate change affects everything, from plant life, water resources and sustaining human life as we know it. Dr. Deb Finn, assistant professor of biology at Missouri State University, studies flowing-water environments. She’s been studying streams and animals that rely on glaciers for more than a decade. 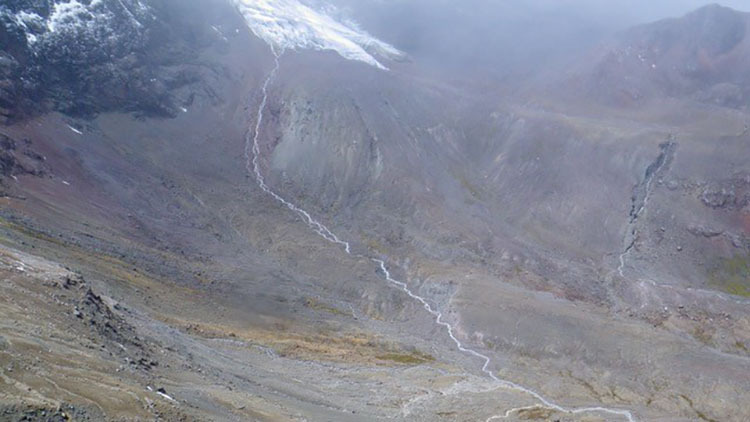 Finn started studying glacier-melt streams in 2008. She had the opportunity to replicate a study from ten years prior. Finn says the glacier had receded nearly 500 meters in 10 years. Quito, the capital city of Ecuador, relies on glacier-fed streams for most of its water. No more glaciers might mean trouble for the big city. The Nature Conservancy is helping the city of Quito study glacier-fed streams that supply the city. The Fund for the Protection of Water is a collaborative effort to monitor the status and ecological health of water resources on the surrounding high volcanic peaks. Another effect of climate change is losing species. Once their climate or environment is gone, they have no place to go. Finn was part of a team of researchers that are studying meltwater stoneflies. Meltwater stoneflies only live in very cold streams fed by melting ice. “A big question is, ‘When those streams go away, what are we losing?’” Finn added.